This is a three level fully equipped townhouse located in the mountain village of West Yellowstone, Montana. Just 2 blocks away from Downtown businesses and just blocks away from the West entrance to Yellowstone National Park. The upper level has two bedrooms. The Bear Den (Queen Bed) has Clock Radio. Enjoy the night in The Fly Fishing Cove (King Bed) with radio and TV with DVD attached (No cable). The master room has sliding door which opens to balcony. There is a full bath on this level. The main level has a fully equipped kitchen including Microwave, Coffee Pot, Toaster Oven, and Kitchen table with seating for six. Living room is equipped with satellite TV, DVD player, gas fireplace and sliding door opening onto a porch and courtyard. There is a half bath on this level. Note: There are no beds on this level. You will find in the basement the Wolf Den (a small bedroom with two twin beds) which has a clock radio. The living room area has satellite TV, desk, and queen size sleeper sofa. This level has bathroom with shower. All towels, linens, and dishes are provided. Snowmobile rentals available upon request We can also make arrangements for guided park tours ,winter and summer. Google maps shows this property as ~ a mile away from Highway 20, but the property is only 2 blocks from Highway 20. The location shown on the map in this site is more correct. We spent a lot of time in the middle of night trying to locate this property because of google maps, and we did not want to wake Barney up for help. He is nevertheless very helpful. Far better than staying in park. Great location, clean, met and exceeded expectations. Overall, this place was great. There were two couples so it was plenty spacious for all of us. My only criticism is that Google maps can not find this place (I mean not even close), which become much more problematic at night in an unfamiliar town. Moreover, the owners did not return my call until the following morning despite saying call them at anytime. If the owners could answer the phone when they know folks are coming in and provide more description or even a hand-drawn map of the condo location, both would make the stay a little less stressful in the beginning. 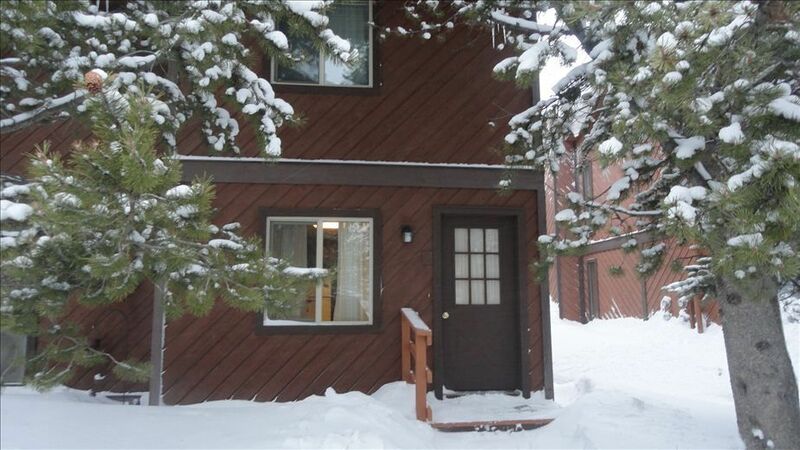 Very comfortable condo and excellent location for taking full advantage of Yellowstone. Great place to hang out when you are experienceing the outdoors around West Yellowstone. Very clean and comfortable. Was close to town, but also nice and quiet. This condo was rented for 6 days and it was everything the owner's stated. Close to the park where we went on two snowmobile tours. Another two days we went snowmobiling in the area surrounding the condo. Snowshoeing was just outside the door as was cross country skiing, ice skating and sledding. There was plenty of room for us and the kitchen was well stocked for cooking. We had a blast in the area and the condo was perfect for us. Thanks so much! Rates for 1-4 People are $$200 per night Rates are based on up to 4 guests, add $20.00 per night for each additional quests Cancellation Policy: Advance payment fee is refundable except for $50.00 handling fee if reservations are cancelled prior to 30 days of the scheduled arrival date. Reservations cancelled after 30 day cancellation deadline will forfeit an amount equal to the advance deposit.